Ste. 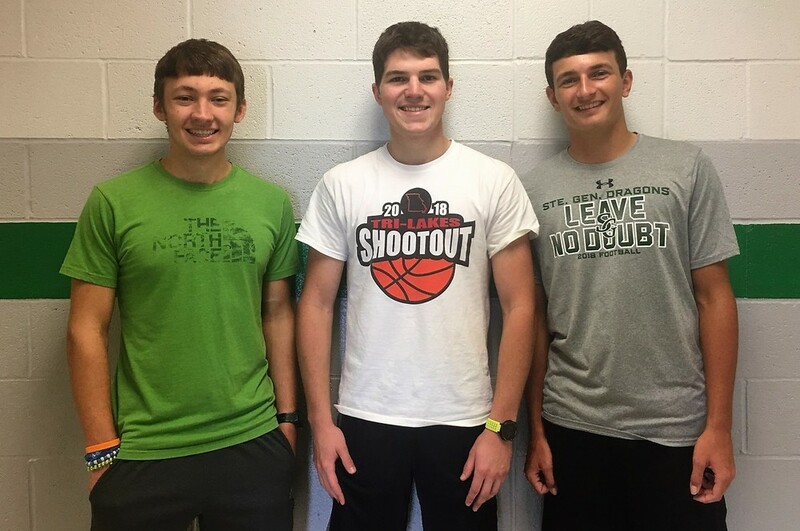 Genevieve high school students Chad Donze (son of Tim Donze and Joan Huck), Sam Stolzer (son of Gary and Andrea Stolzer), and Clayton Huck (son of Dan and Heather Huck) attended Missouri Boys State the 3rd week in June. Clayton Huck describes it as "an impressive experience". Throughout the program, the boys worked in teams to create their own political system. "It was amazing how much planning goes into creating a city", said Sam Stolzer. These boys worked hard all week learning from a variety of guest speakers. Chad Donze recalled, "I loved meeting people and working with students our age to create our own plan." It was certainly a memorable experience for these Ste. Genevieve R-II Seniors.